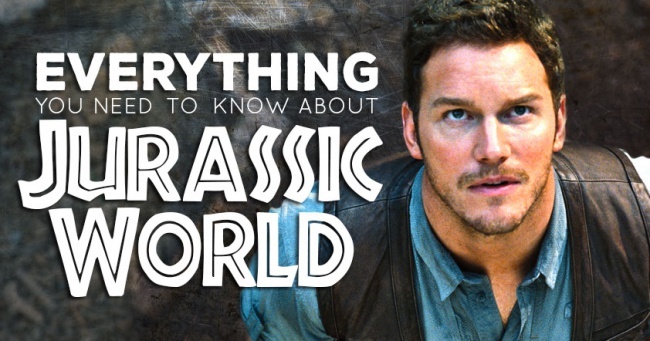 Jurassic World marks the fourth installment in the Jurassic Park franchise, and with it being the first chapter in over a decade, it can be tough to remember all the important details that came before. Or, perhaps you haven't seen any of the previous films, but want to check out the new one. 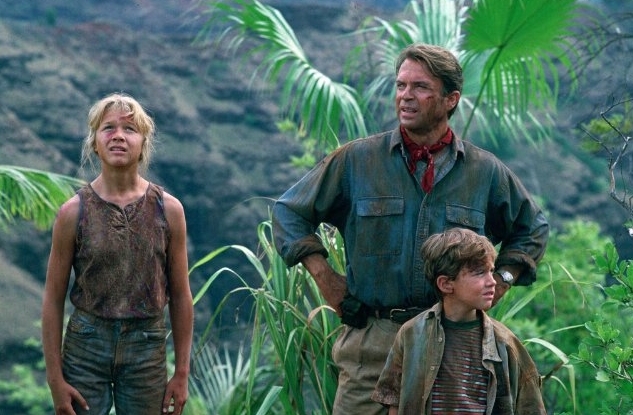 We've got you covered with this guide to the Jurassic Park series. Directed by Steven Spielberg. Produced by Kathleen Kennedy and Gerald R. Molen. Written by Michael Crichton and David Koepp. Release date: June 11, 1993. Jurassic Park, the movie that started it all. One of the movies often listed near the top of Steven Spielberg's filmography. A theme park ride of a movie in which people get hunted by dinosaurs. Jurassic Park made a ton of money upon its initial release and has now spawned three sequels and a 3D re-release. 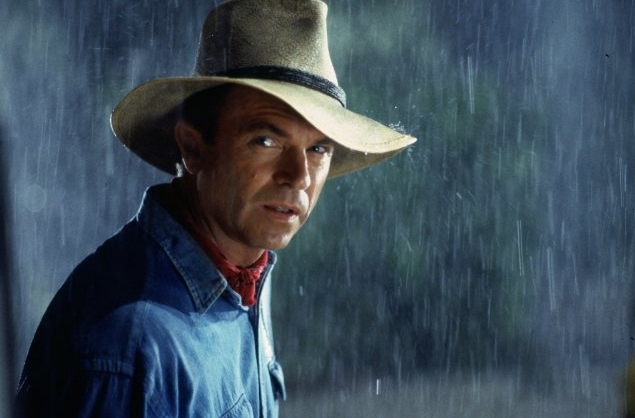 Dr. Alan Grant (Sam Neill): Our leading character. A paleontologist. Returns as the lead in Jurassic Park III. 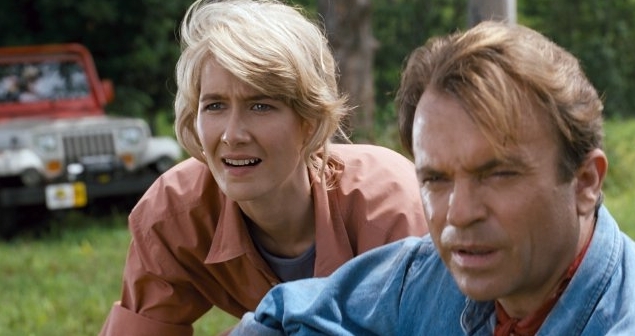 Dr. Ellie Sattler (Laura Dern): A paleobotanist. Returns in Jurassic Park III. 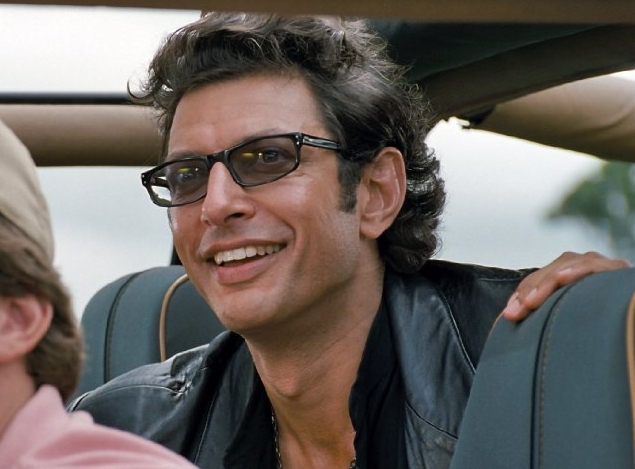 Dr. Ian Malcolm (Jeff Goldblum): A mathematician brought to Jurassic Park. Returns in The Lost World: Jurassic Park as the lead. 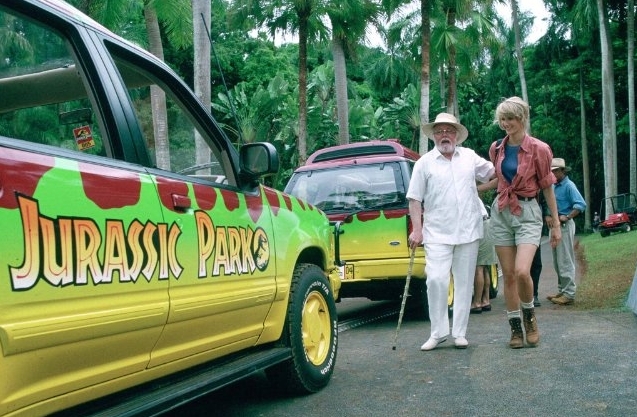 John Hammond (Richard Attenborough): The creator of Jurassic Park. Grandfather to Lex and Tim Murphy. Returns in The Lost World: Jurassic Park. Lex Murphy (Ariana Richards): Granddaughter of John Hammond. Returns in The Lost World: Jurassic Park. Tim Murphy (Joseph Mazzello): Grandson of John Hammond. Returns in The Lost World: Jurassic Park. Dennis Nedry (Wayne Knight): Architecht of Jurassic Park's computer system. Causes the park to malfunction, allowing the dinosaurs to escape. 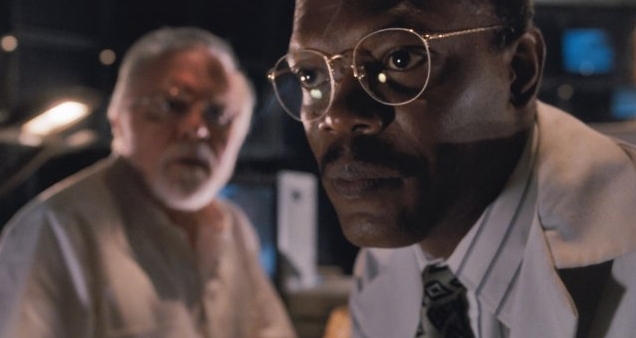 Ray Arnold (Samuel L. Jackson): Jurassic Park's chief engineer. Dr. Henry Wu (B.D. Wong): The park's chief geneticist, and the only character who returns in Jurassic World. John Hammond has created a theme park/zoo on a tropical island that houses dinosaurs, which have been brought back from the dead thanks to cloning technology. In order to prove that the park is safe, he invites Alan Grant, Ellie Satler, and Ian Malcolm for a tour of the park to verify its safety. They are joined on the tour by Hammond's grandchildren, Lex and Tim Murphy. Meanwhile, Dennis Nedry has been paid to steal dinosaur embryos from the island. Nedry's plan winds up disabling the security system for the entire island, allowing the dinosaurs to escape from their enclosures and locking those on the tour inside the gates. Nedry, who tried to escape from the island, winds up being killed by a dinosaur. Those on the tour find themselves being chased by a Tyrannosaurus rex, and later Velociraptors. In order to save those stuck on the tour, Hammond and Ray Arnold reboot the computer system. Arnold doesn't survive. Velociraptors begin to hunt the protagonists at this point, although with the power now back on, they're able to call for help. The Tyrannosaurus rex pops up and kills the Velociraptors, allowing the protagonists to escape on a helicopter. Grant decides not to endorse Jurassic Park, a decision with which Hammond now agrees. This, however, did not stop The Lost World: Jurassic Park from being created. There's a reason that Jurassic Park is frequently mentioned on "best of" lists: it's really, really fun. Sure, it doesn't have a ton of ambition beyond being an incredibly fun ride of a movie, but it pulls that off so effortlessly. It has incredible visual effects - both CGI and animatronics - most of which hold up to this day, and it still has the potential to fill audiences with awe from start to finish. No, it's not scientifically accurate, and its characters aren't exactly the greatest, but it puts you on an island with dinosaurs, and that's about the coolest thing a movie can do.